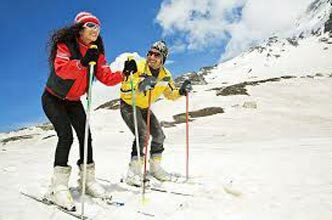 Upon arrival at the airport and drive towards Shimla .Shimla, a very popular holiday-retreat is well-known for its Victorian architecture, which is reflected in certain areas of the Mall and The Ridge. It is also a famous holiday spot for honeymoon. Upon arrival at Shimla, check in at the OYO hotel. After breakfast at the hotel, proceed for a half day excursion to Kufri (2500mts). 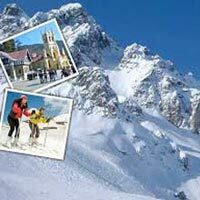 Kufri is also renowned for other adventures activities such as skiing, tobogganing (sliding downhill on a sled), etc. Kufri has the oldest skiing slopes in Himachal Pradesh. You can also take a hike or a take a Pony up to Mashu Peak. Afternoon: Guests will be dropped at the Shimla Mall road to explore by themselves. 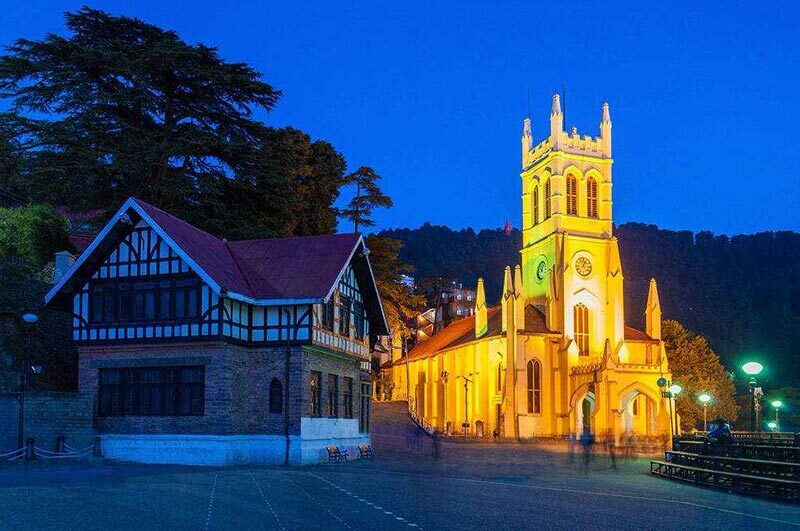 Attractions of the mall road include Shimla Church, Scandal Point, Gaiety Theatre, Town hall & shopping. Evening, the guests shall be transferred to their respective OYO hotels for overnight stay. After breakfast at hotel, depart for Manali. Drive past Beas-Sutlej Link project, Pandoh Dam & Kullu Valley. Lunch shall be en-route on direct payment basis. Check in to your OYO hotel on arrival for an overnight stay. After Breakfast, Proceed for local sightseeing of Manali. 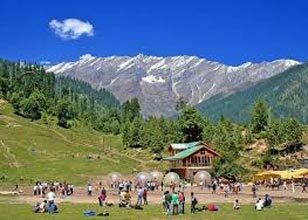 Visit Naggar Sightseeing Vashishtha Kund & Hadimba Temple. Enjoy the day at leisure. Stay overnight at the OYO hotel in Manali. Early morning, take a half day excursion to Rohtang /Snow Point. (On direct payment basis) (Closed on Tuesday). On return, visit Solang Valley. 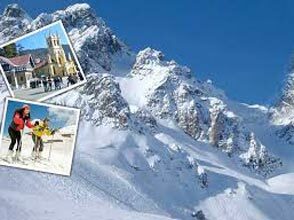 You can opt for adventure sports like Paragliding, Zorbing, and Skiing (subject to snow) on direct payment basis. Return to Manali. Stay overnight at the OYO hotel in Manali. After breakfast proceed for Amritsar. On arrival check into the hotel and relax Evening visit to Wagah border (36 kms from Amritsar) and late evening visit to Golden Temple. Overnight stay at hotel in Amritsar.